Gratitude makes us happier and healthier. People who regularly express gratitude notice the positive and beautiful things in their lives. Feeling grateful allows us to enjoy the people and things around us. Appreciating those around us makes it more likely that we build strong relationships with others. Gratitude is a practice; an artform, even. Sometimes it floods through us without warning or explanation, and sometimes we have to actively work hard to show it. Flexing my gratitude muscles have helped me let go of things that had the potential to weigh heavy on my mind and heart way longer than they needed to. Whenever I'm in a bad mood, am stressed out or feeling any type of negative way, I make myself list what I'm grateful for in my head. Sometimes I really have to force myself - and every time, it saves me! I keep listing until the negativity releases me. Keep thinking of all the things I am thankful for. I'm thankful, but I'm expressing gratitude. One of my resolutions this year was to end each day writing down three things I'm thankful for. That was also a resolution that fell off, but a lot of days I end up catching a moment to think about that top three. I need to pick that habit back up! Today we take the time out of our busy lives to spend the day with friends and/or family. It's the one day we focus on being thankful. 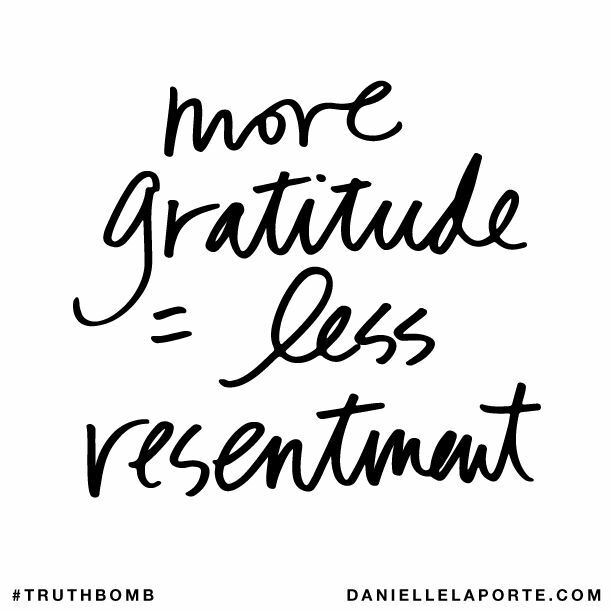 Why not work on making gratitude a way of living, every day? I'm thankful for gratitude. Practicing it has truly saved me from spiraling too deeply in the wrong direction. It definitely plays a role in making me happier. I also wanted to say - I am so thankful for all of you. I got a lot of messages about yesterday's redefining my relationship with fitness post saying it resonated with y'all. I went through a lot of periods of radio silence on Fresh Jess this year, and sometimes I wonder if anyone ever reads this or if it's all in my head. Every time I write about what I'm going through in life, the exposed vulnerability makes me want to vomit right before I hit publish. But the worry that floods me when I think about being judged never outweighs my need to put my words out there. And every single time, you all remind me that it's the right thing to do. I am so grateful for you that it brings me to tears as I write this. Thank you, from the bottom of my heart, for sticking with me and for reading Fresh Jess! I appreciate you!